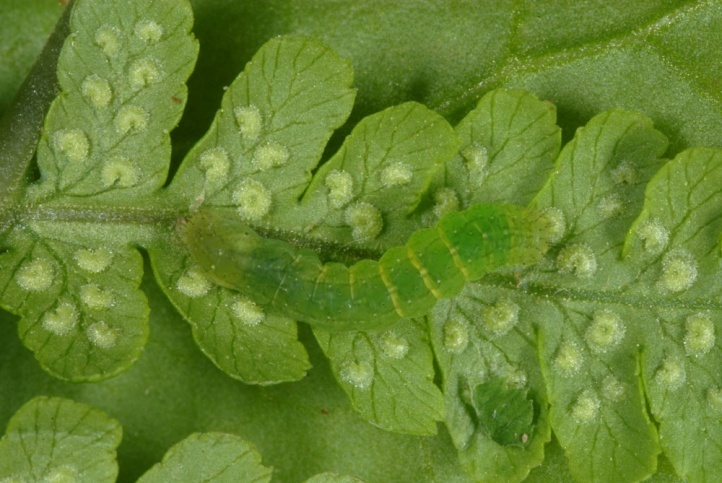 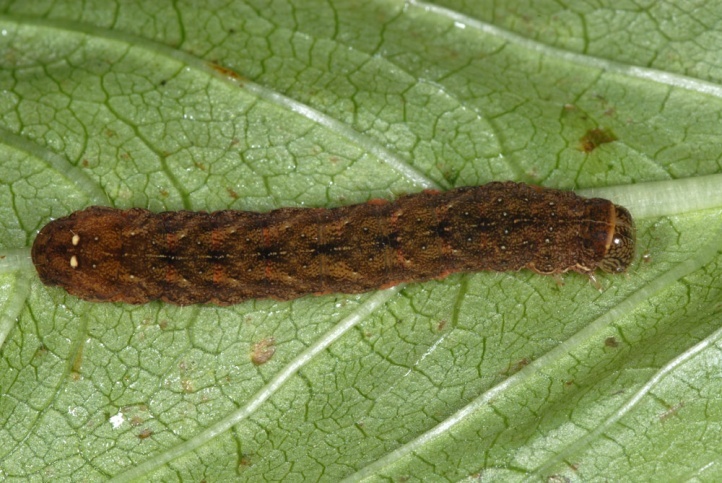 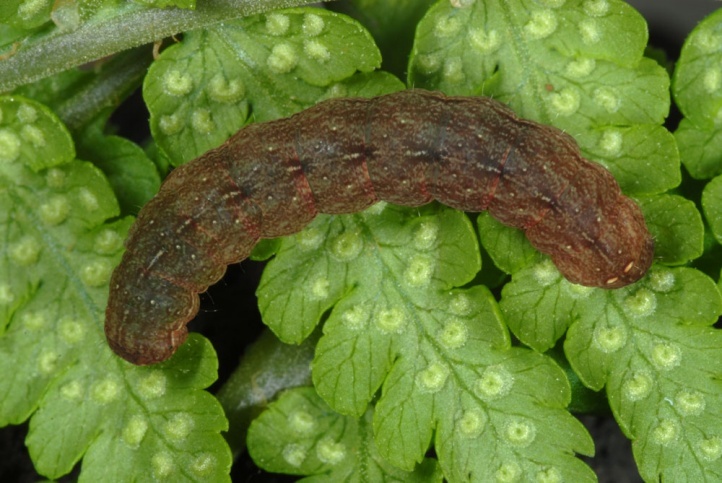 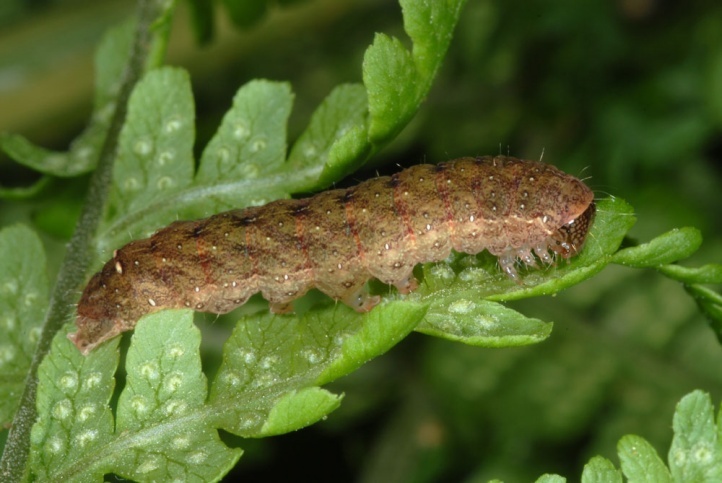 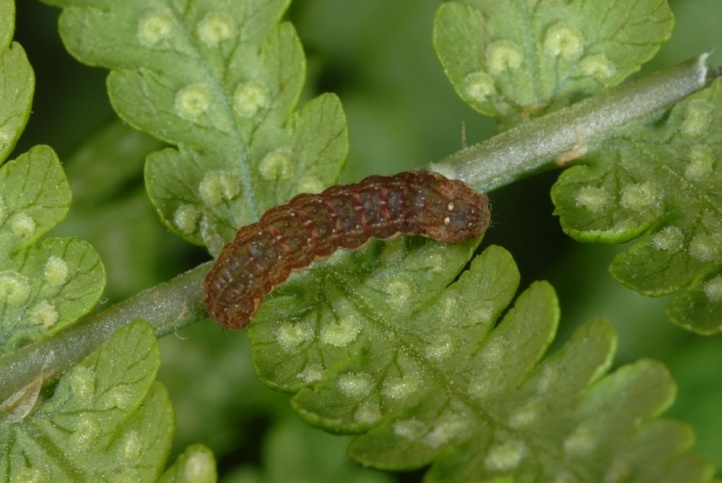 The caterpillar lives polyphagous on herbaceous plants and especially ferns of its habitat. 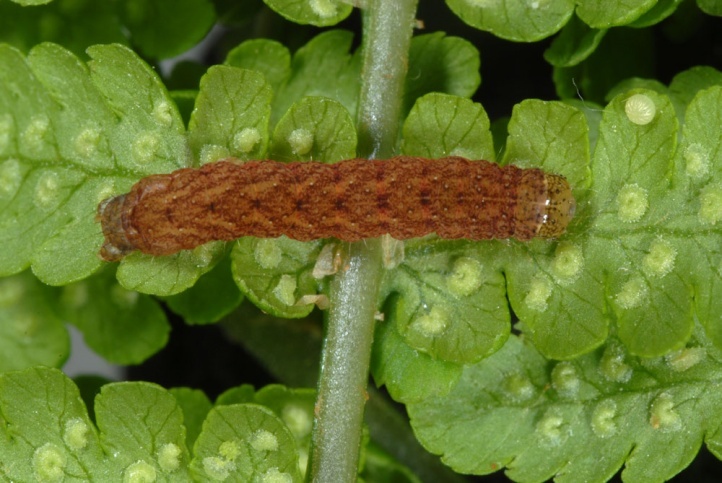 I observed caterpillars on Argyranthemum broussonetii (Asteraceae) and ferns (Dryopteris oligodonta, D.guanchica others) in La Gomera. 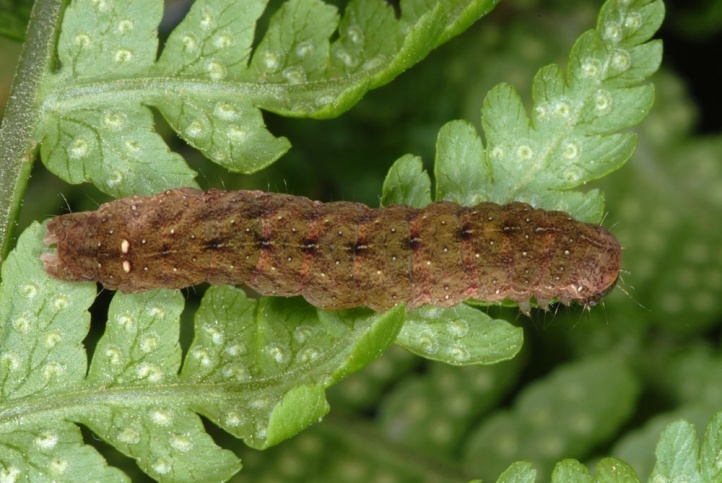 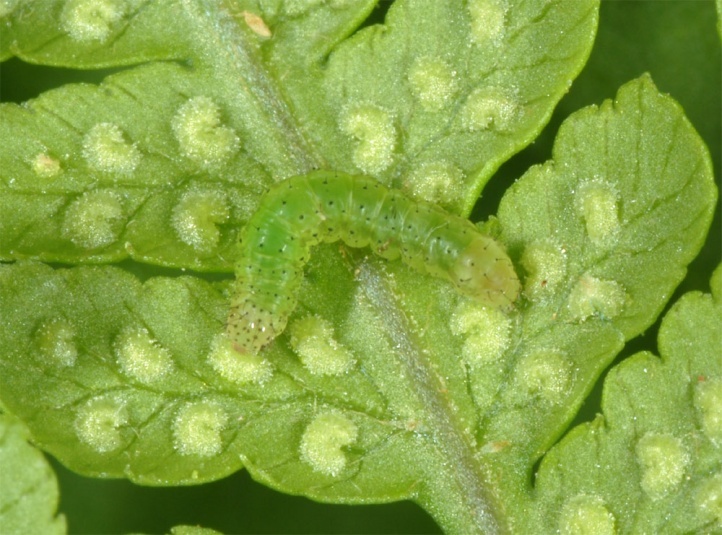 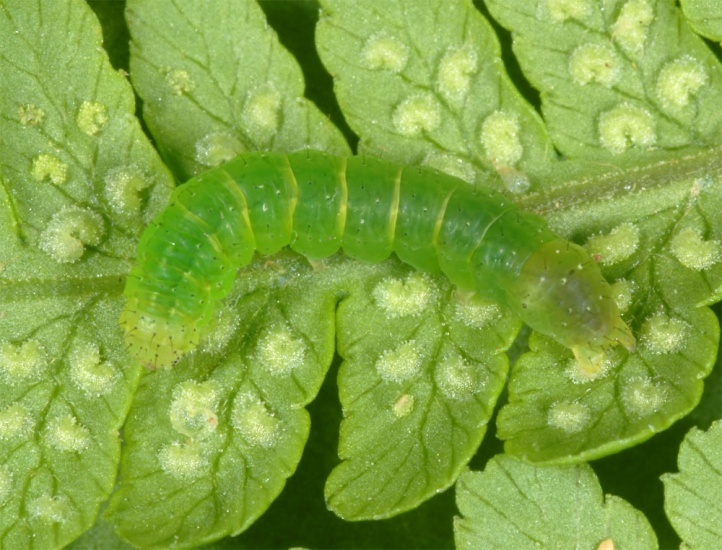 In La Palma, I found young larvae on ferns, too. 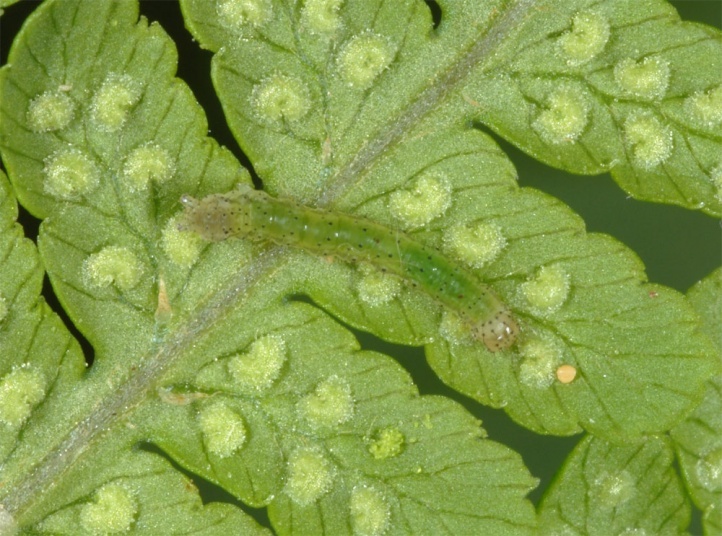 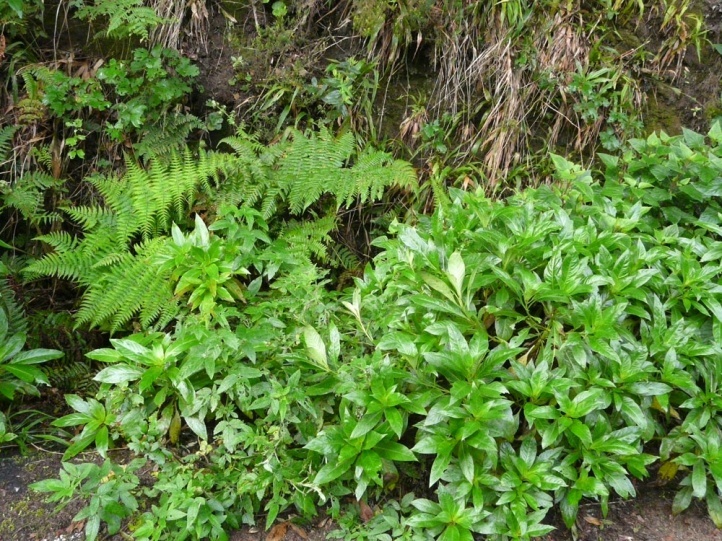 According to literature, the species feeds also on Urtica morifolia and Pteridium aquilinum. 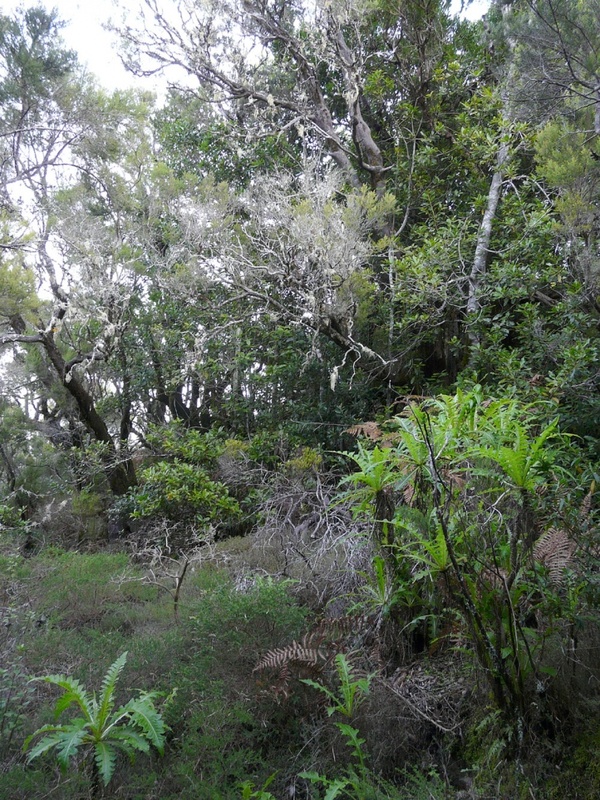 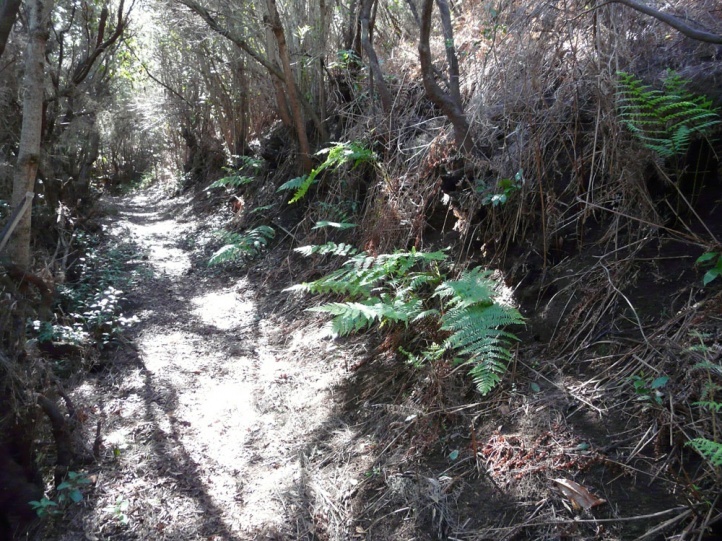 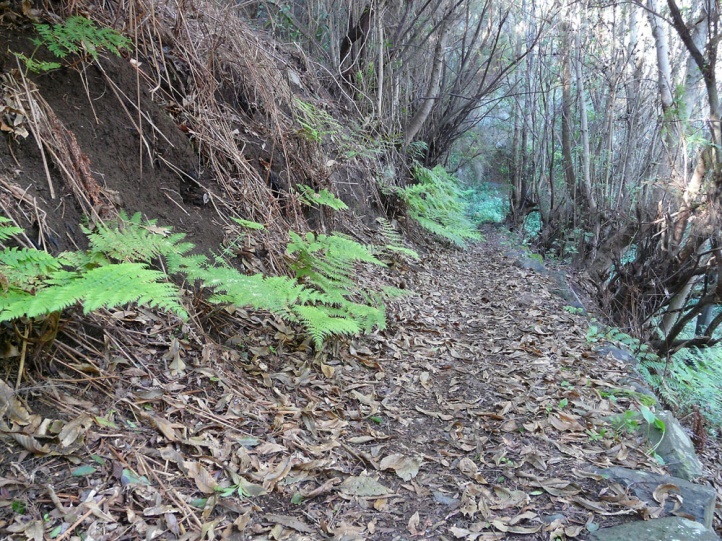 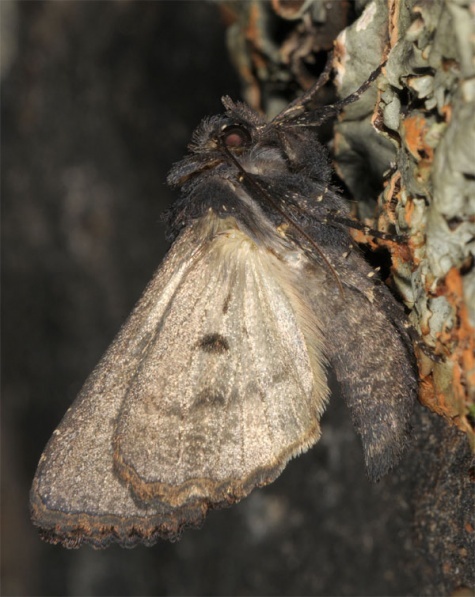 Euplexia euplexina is a character species of the laurel forest and inhabits at least slightly moist, fern-rich and rather shady areas between shrubs, in Barrancos, along roadsides in wooded regions and on north facing slopes. 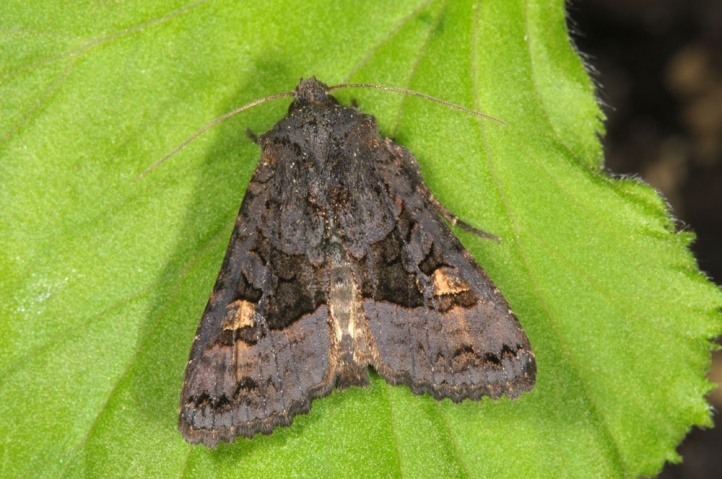 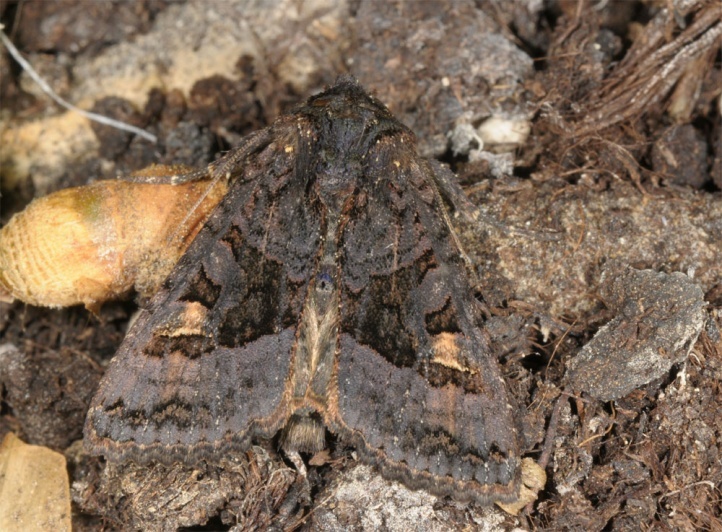 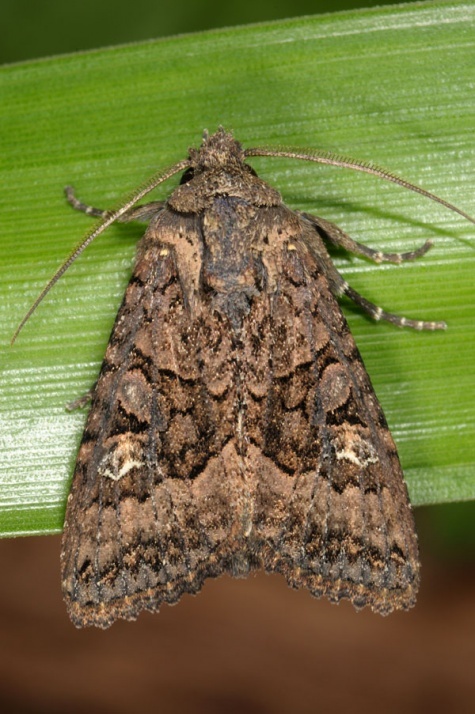 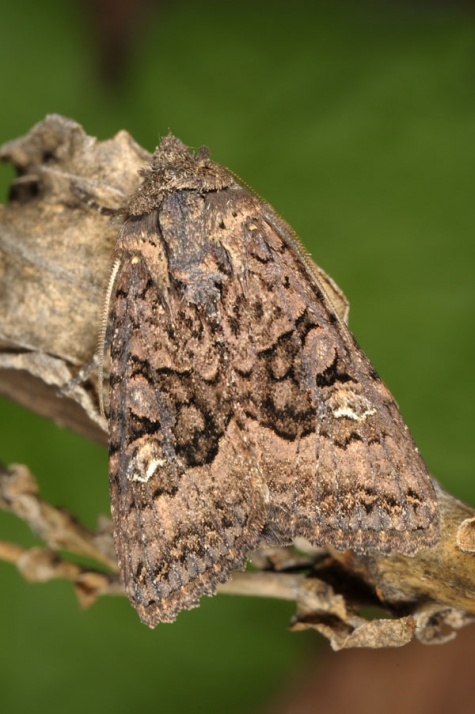 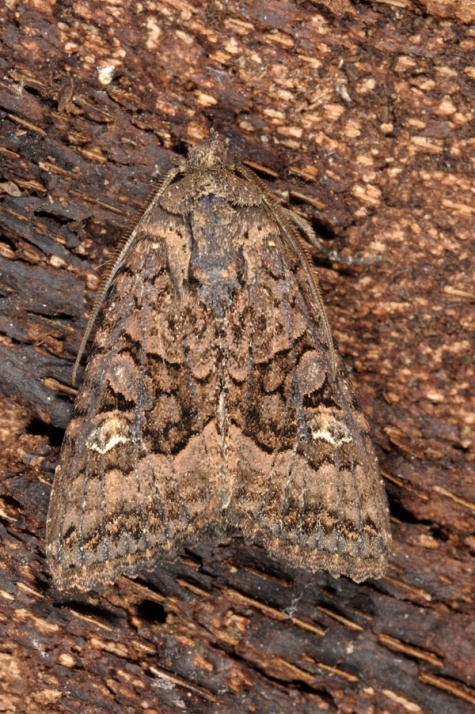 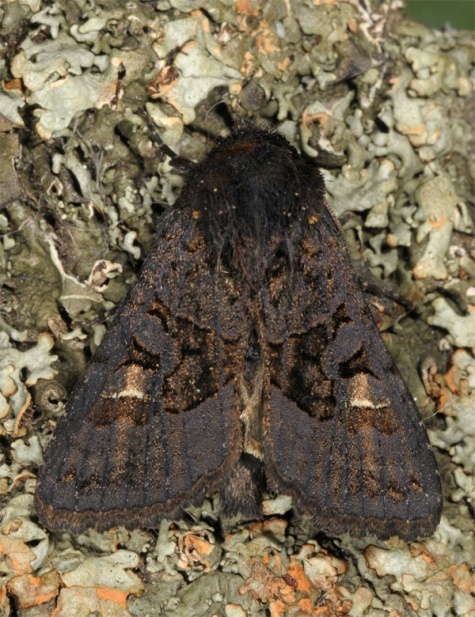 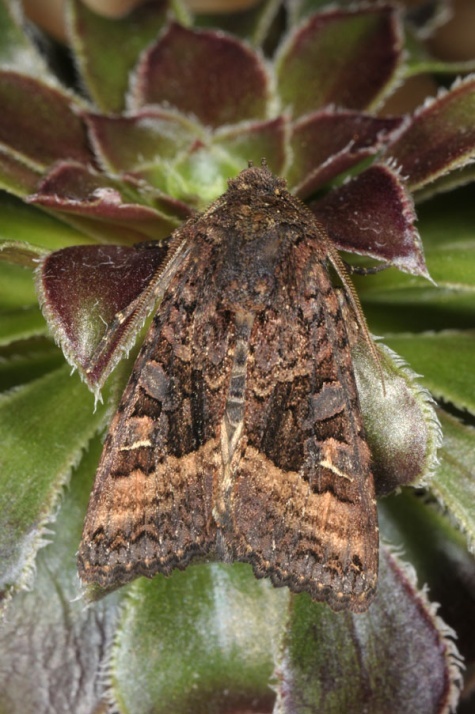 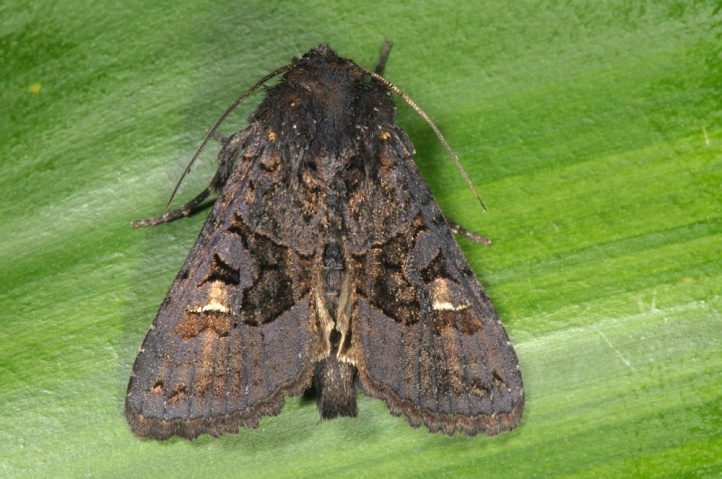 The moths are found year-round, even if there is probably an abundance minimum in summer. 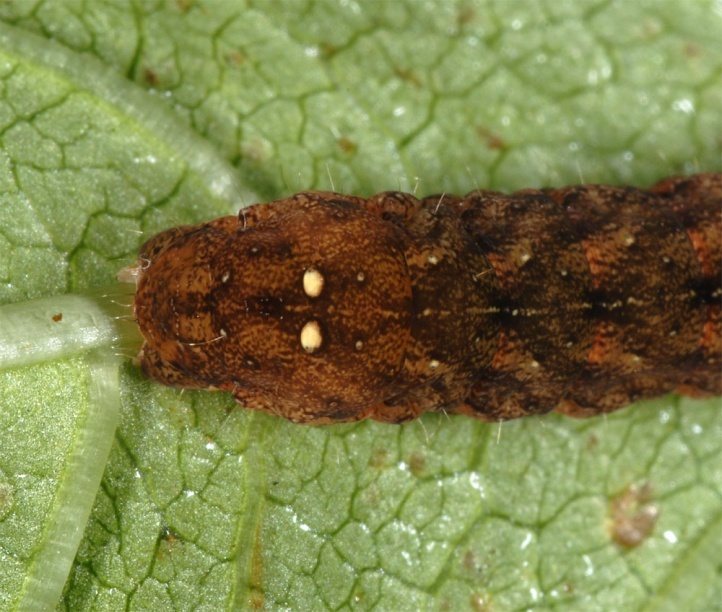 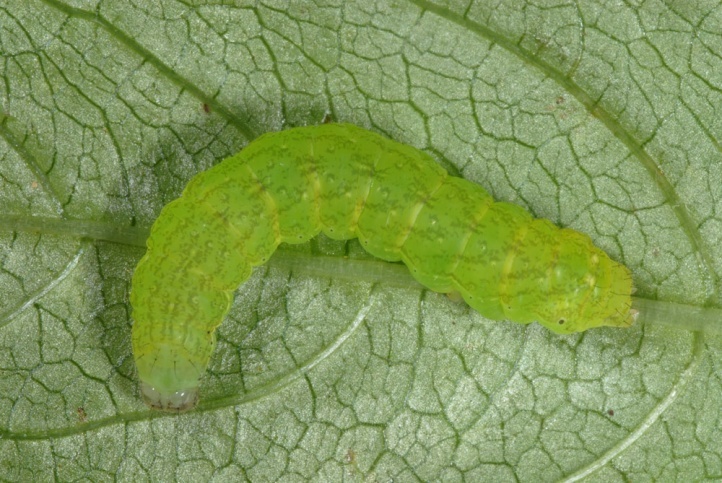 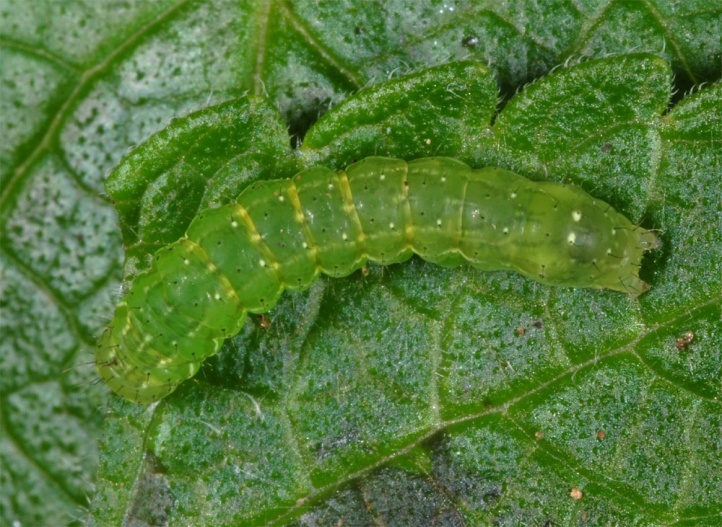 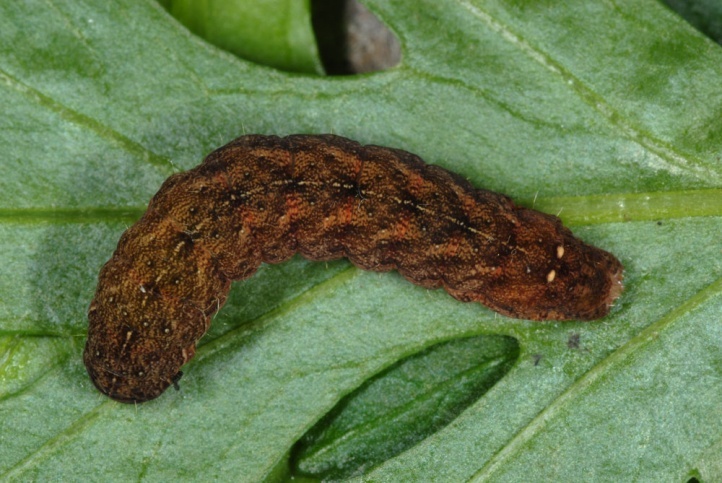 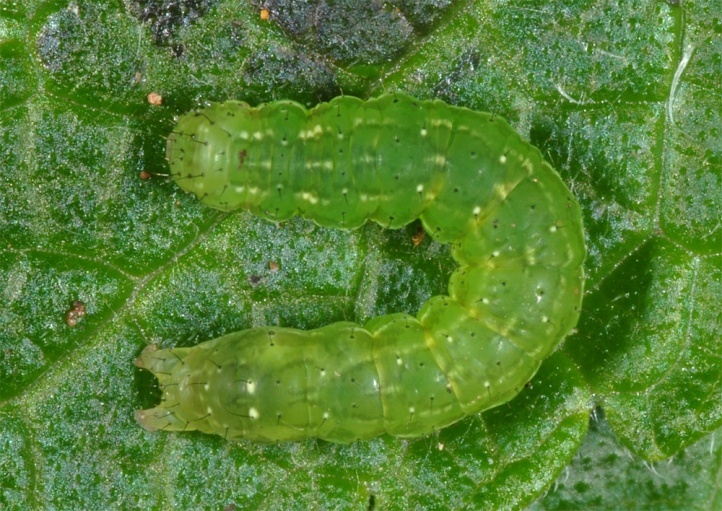 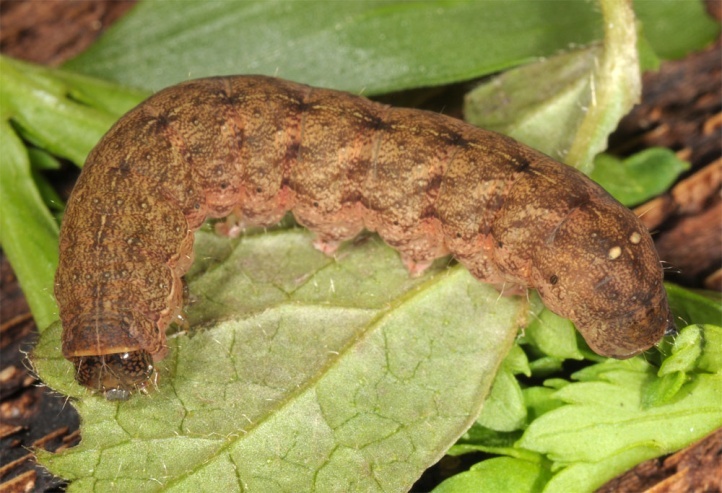 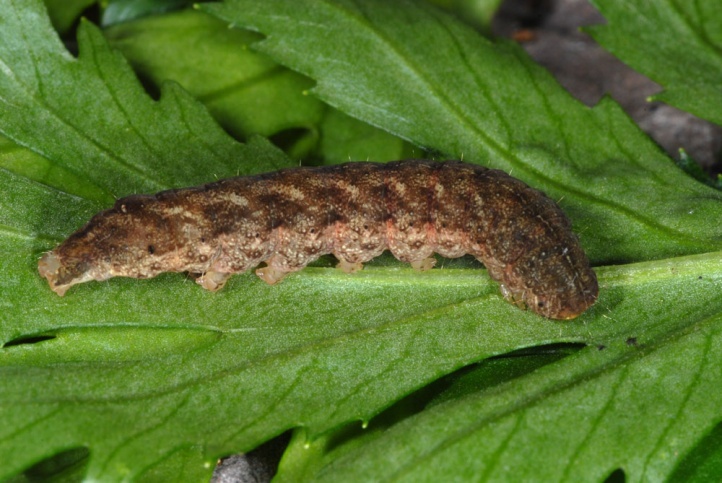 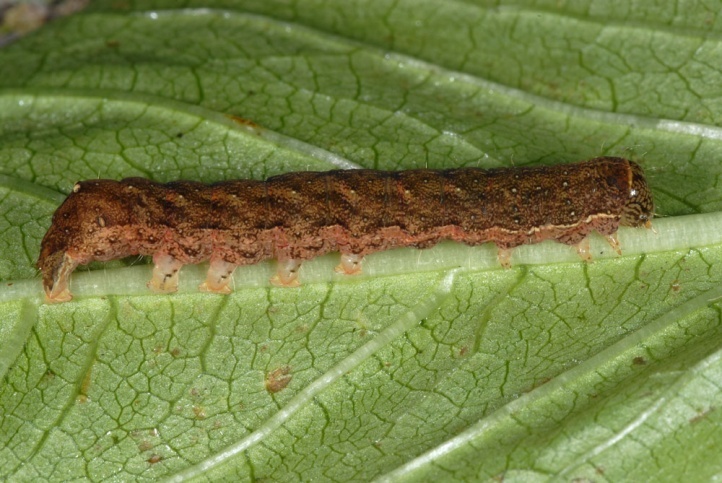 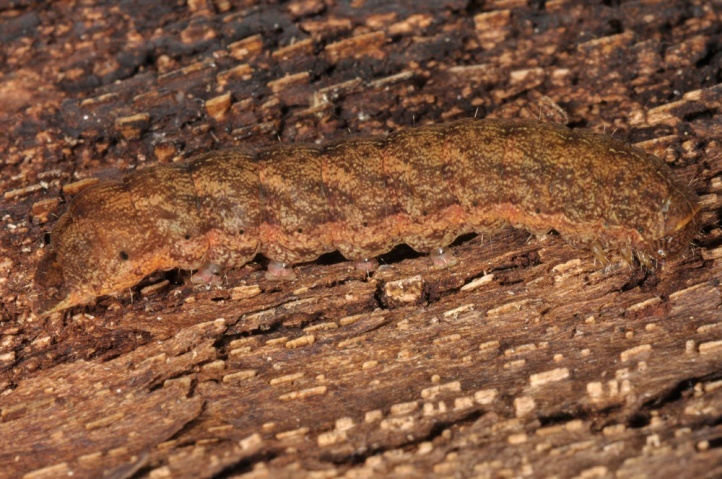 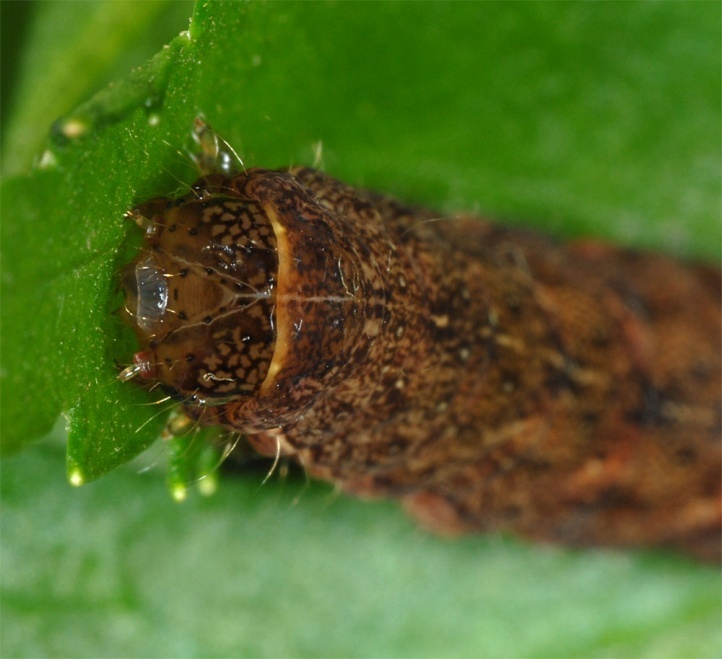 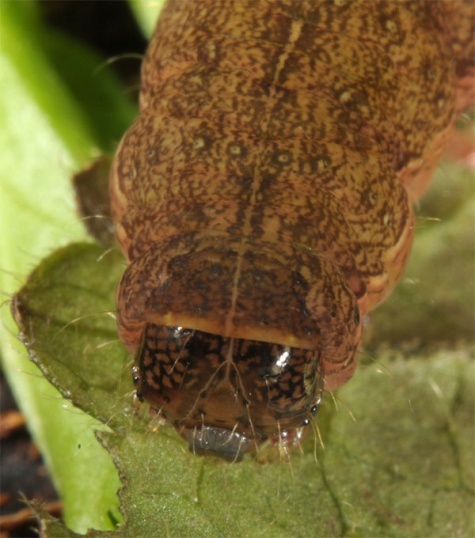 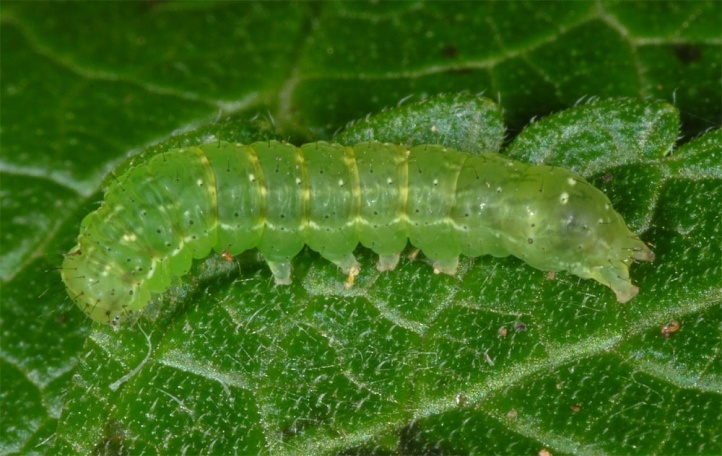 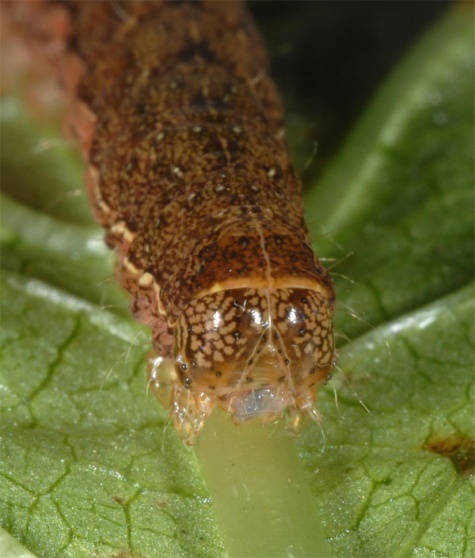 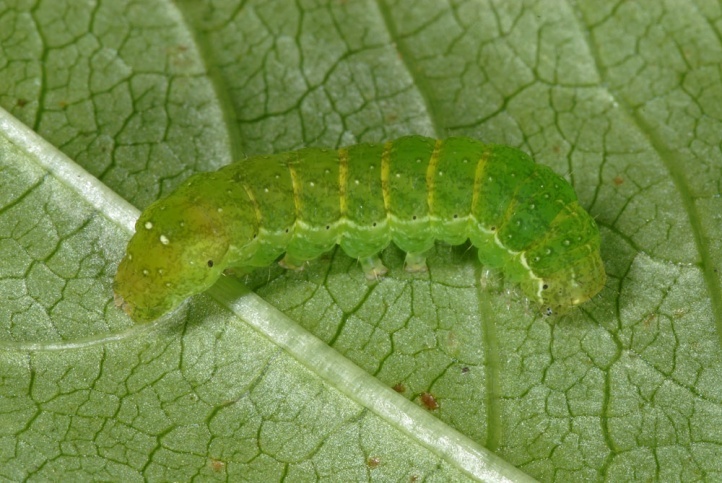 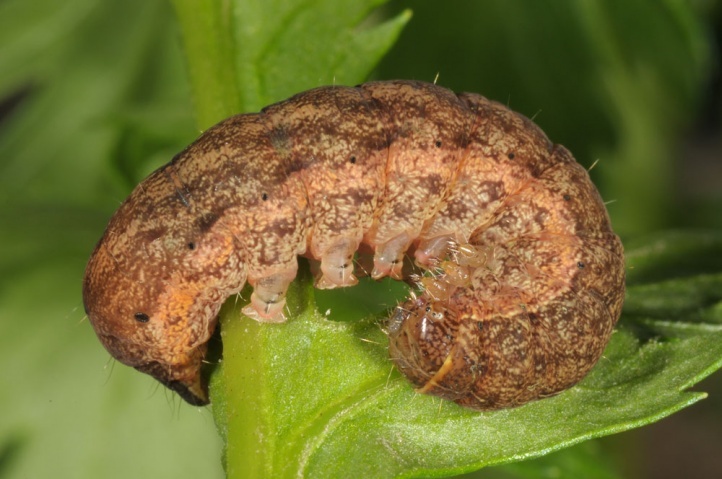 The older caterpillars normally rest well concealed in the litter at daytime and feed only at night, but the younger instars can be found during the day at the lower leaf side. 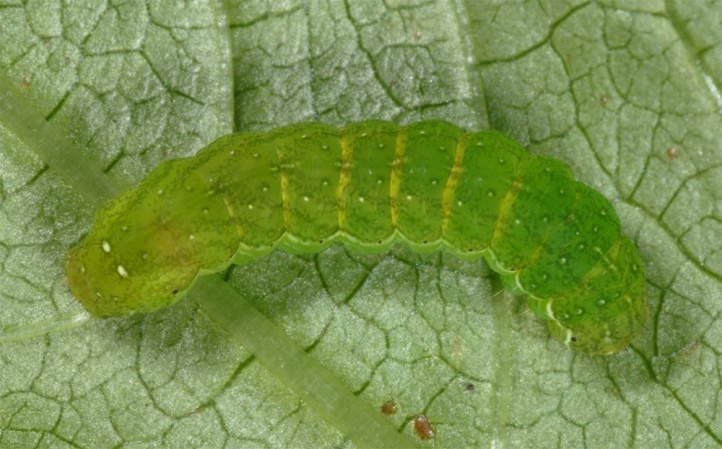 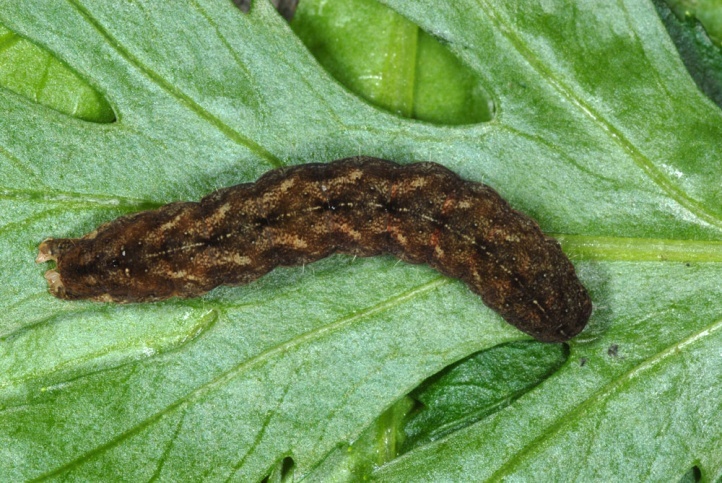 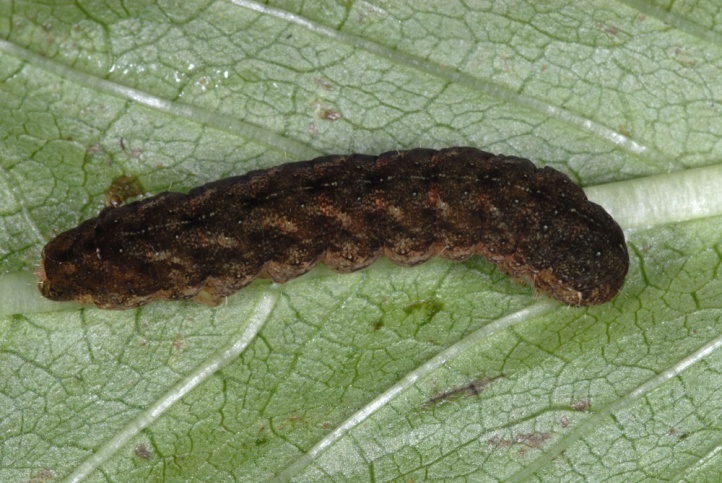 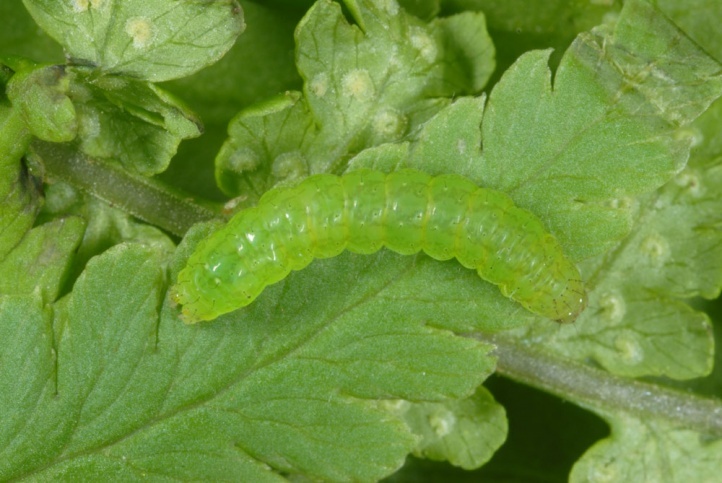 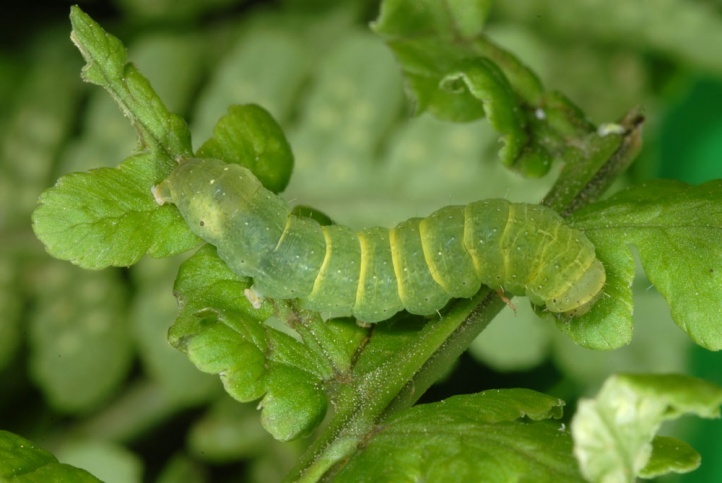 Young caterpillars are thus green, older (rarely already half-grown larva) brownish. 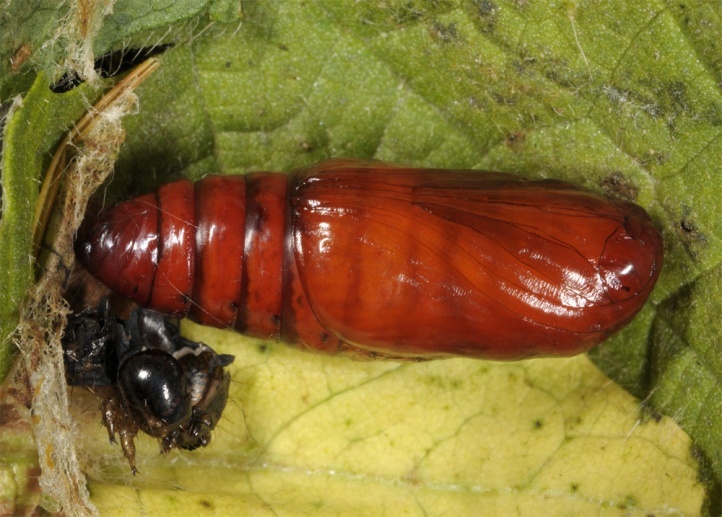 Pupation takes place in a slight cocoon in the litter layer. 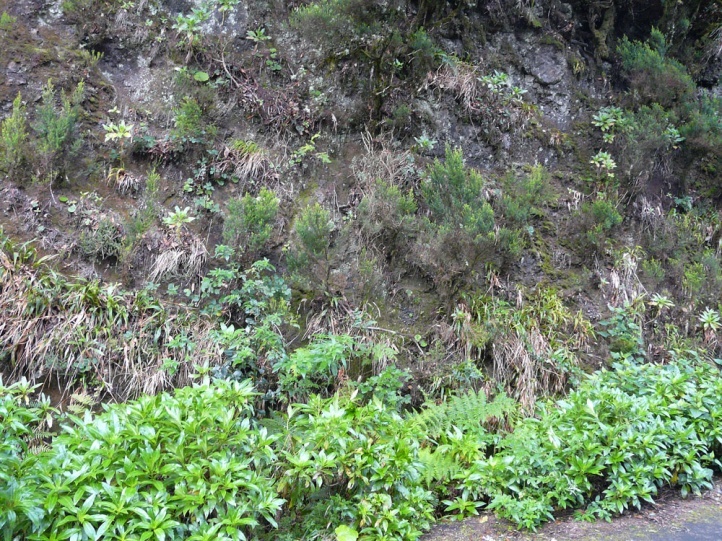 Euplexia euplexina is endemic to the western Canary Islands (La Gomera, La Palma, Tenerife).